One of the many objectives of oyerr.com is to be of relevance to the society. This objective motivated the need to meet the needs of people at different locations, including creating a repository of freelancers. 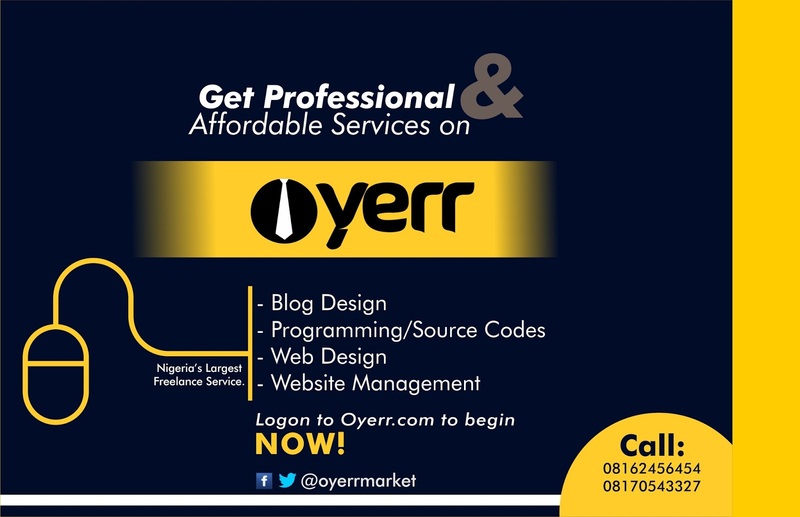 Oyerr.com, as a freelance service and micro job market place is a repository of freelancers, especially ICT oriented freelancers. 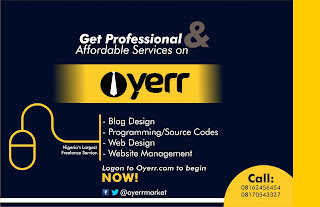 Presently, oyerr.com has an inexhaustible number of programmers, web developers, web designers and still counting. One reason you need oyerr.com is this - you may not have these freelancers available at your location in the moment but Oyerr.com creates a virtual business center for freelancers and members of the society,including you, who may need these services. Each of them has proposed to either code a blog, design a website, create an android application etc, convert websites to progressive web application etc. Just to let you know, we have got them plenty. Just let us know what you want and be sure to get it.